Cause of Death: Baby head is punched in by Malcolm and is then electrocuted to death. Other Distinguishing Features: Greyish skin, and has a baby attached to his chest. 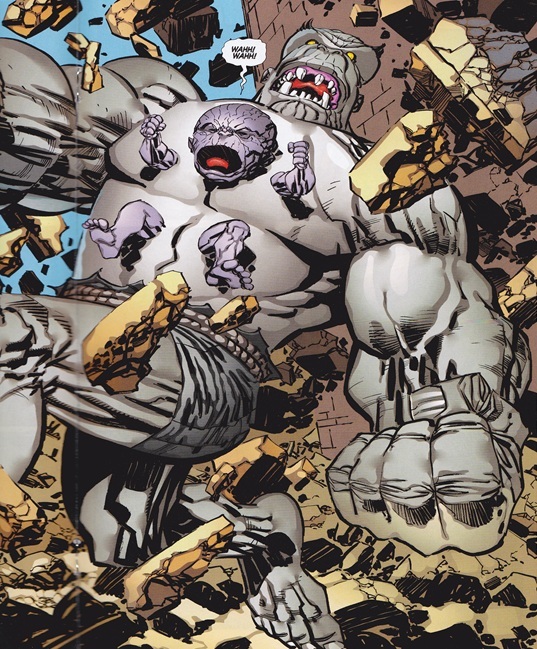 Tantrum is huge monster of a man who is seen going on a rampage destroying property and ending lives. Malcolm is called in by the police force to deal with him. Malcolm first kills the baby attached to Tantrum’s chest and then electrocutes Tantrum to death in order to prevent him from ever causing damage again. It is later discovered that Tantrum was a 45 year old father who was turned into a freak while with his baby being carried on a baby carrying case around his neck. He was turned into a freak via Bellco chemicals.